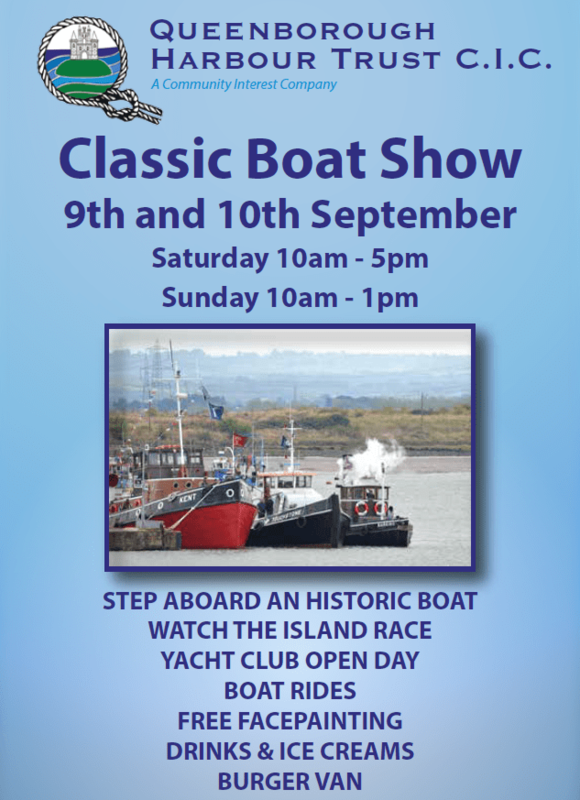 PLEASE NOTE: Queenborough Harbour will be closed to visiting boats from Noon Friday 8th to 6pm Sunday 10 September to accommodate the classic boat event. We hope to see you there, but kindly request you come by road or rail. This entry was posted in Boat Show, Classic motor vessels, Classic vessels, Festival, Queenborough by admiral. Bookmark the permalink.